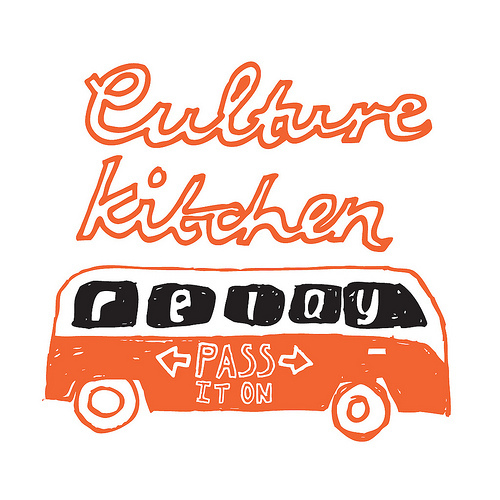 In August 2012 The Hidden Gardens joined forces with The Fife Diet for Culture Kitchen Relay: a unique recipe relay around Scotland to celebrate the country's food and the talented people behind harvesting, cooking and sharing it. 14 days, more than 18 stops, 3 women and 1 van - the ingredients assembled to make an unforgettable road trip celebrating food growing, home cooking and seasonal ingredients. Destinations included community growing projects, schools, farms and local food producers. 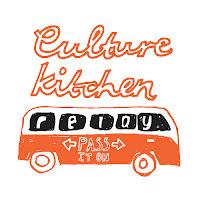 Clem Sandison (artist and creative producer of Culture Kitchen) teamed up with Najma Anwar (passionate cook and member of The Hidden Gardens Cultural Cookery Group) and Kathryn VandenBerg (community gardener and co-ordinator of SAGE) to embark upon an epic road trip around Scotland passing recipes from one community to another. The focus of the recipe exchange was family dishes that have been passed and also some new recipe creations, all based on local produce, including home-grown fruit and vegetables, foraged seaweed, hand crafted cheeses, freshly landed fish and seafood, and locally farmed meat, oats and dairy. And, best of all, Clem and the team documented all the cooking tips and stories that they heard along the way.